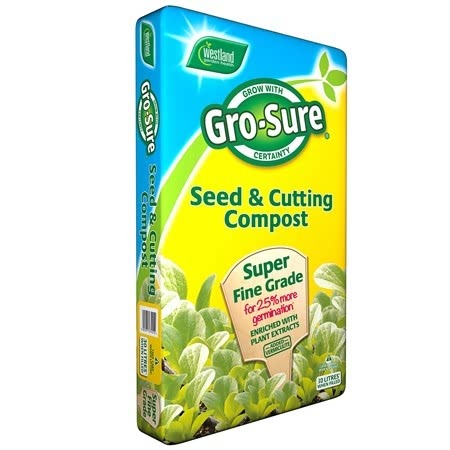 Approx 110 seeds, suitable for sowing from February - April. Early flowering variety, producing large blooms. 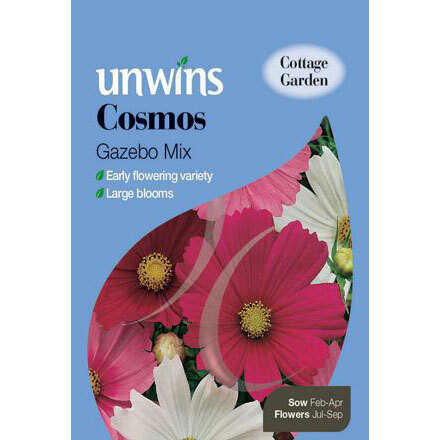 From Unwin's Cottage Garden Seed Collection, Gazebo Mix Cosmos is a vivacious mix of strong and soft shades. 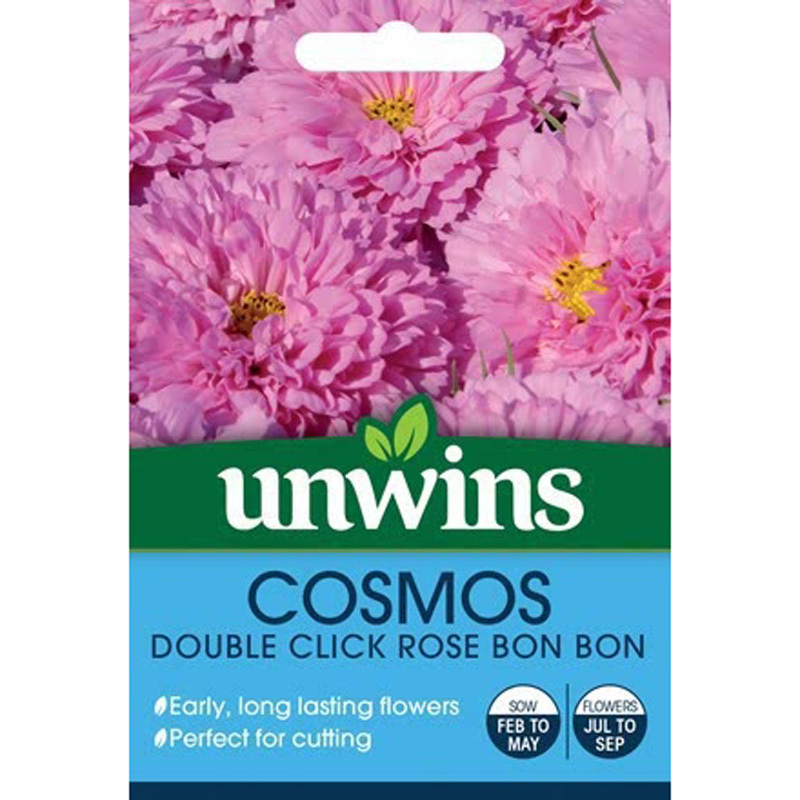 If you would like further information about Unwins 'Gazebo Mix' Cosmos Seeds, please contact our garden centre at Shawbury just outside Shrewsbury in Shropshire, by calling 01939 251315 or emailing.